Jessica from @le trouvaille nominated me for the Sunshine Blogger Award. I was really surprised and very happy to be nominated. Jessica has been following my blog for a while now and always given me positive feed back on my posts. “Jessica, thanks again for nominating me and all your support.” You should go and have a look at her blog yourself at www.letrouvaille.wordpress.com. 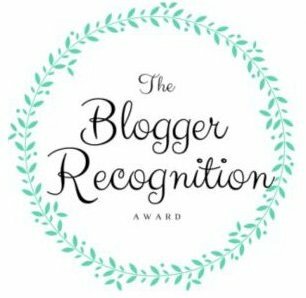 The Sunshine Blogger Award is given out by bloggers to fellow bloggers who blog about positive, happy and inspiring content. I think this concept is also a great way of discovering other blogs that leave a positive feeling. I was born in Germany but moved to London, UK, in 2010. If you were to get me a souvenir from your country, what would you get me? I would get you a dirndl, a traditional German Bavarian dress, then we could go to the Octoberfest in Munich together and enjoy beer and German food. What’s the meaning behind your blog name/handle? Wanderlust, Wanderlust is a strong desire or impulse to travel and explore the world. Plus One stands for my son Jerome as he always joins us on our travels. Tea! I used to drink lots of to coffee until I started drinking green tea, which then became an addiction. Every time we would go away travelling I would take a huge amount of photos, combined with the fact that friends always used to ask about us travelling with Jerome to unusual places and then finally having some time between jobs gave me the push to start blogging. I have been to places on my own, visiting friends or family but not ever completely on my own outside Europe. I would love to though, maybe sometime in the not too distant future. What’s a good book you’ve read lately? I read a lot, about 1-2 books a week at least. I love reading anything from fiction, Japanese crime novels to autobiographies. A book that is still on my mind, is the true story of Sungjun Lee in “Every Falling Star” about his life and final escape from North Korea. Which place have you visited that you think has the most beautiful scenery? – My favourite cityscape is the view from the Mori Tower in Tokyo, Japan. – My favourite beach and underwater scenery is in the Maldives. – My favourite landscape scenery would be the Tramuntana mountains on Mallorca, Spain. Definitely summer, I love the heat and the sun on my skin. What is the first place on your travel wish list? There are still many places and countries that I want to go and visit. Japan is the one place that I still keep coming back to time and time again. I nominate the following bloggers for the Sunshine Award. All these blogs are amazing and worth a visit if you have time! Looking forward to reading all your answers! My pleasure – very well deserved award! Congratulations to wanderlustplusone for an inspiring travel blog. I wish you all the best in your journey. Please let me know if you’re ever close by and we will arrange a visit to a Biergarten at least if we can’t make the Octoberfest.